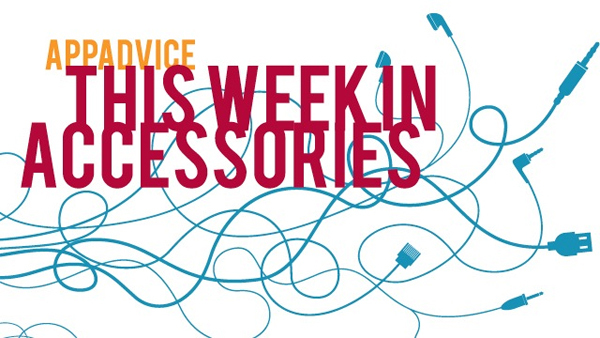 Welcome back to our weekly look at the latest and greatest accessories that hit the market this week. 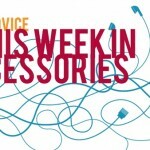 While we focused on three cool iPhone 5 cases last week, we’ve got something for almost every iOS device in this edition. In partnership with Marvel, Brando is offering a limited-edition iPhone 5 case for the most loyal fans of the popular superhero Iron Man. 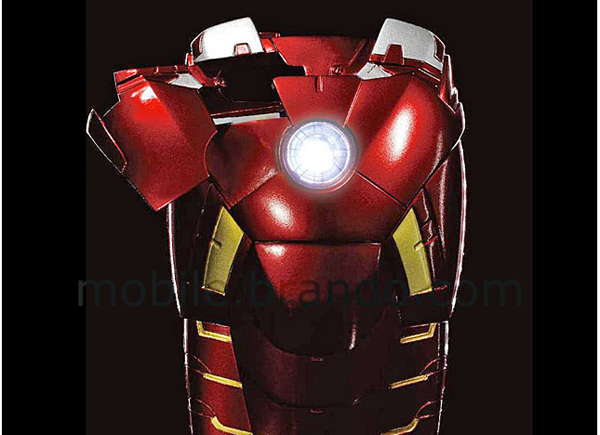 The Iron Man Mark VII is a detailed sculpture ABS hard case with metallic colored paint. Beyond the absurd attention to detail, the coolest feature seems to be the arc reactor, really a battery-powered LED light, that powers up when you receive a call. The camera lens can be accessed by lifting a “shoulder” cover. The case can be preordered now from Brando for $49.95, with shipping promised in April. While I’ve got to admit that this case looks really fun, it doesn’t exactly scream practical either. But it does look like something fun to take to the premiere of Iron Man 3 in May. The Big Grips Frame for the full-sized iPad has definitely been one of my favorite accessories living in a house with two tablet-loving kids under 5. And the company has just announced the Big Grips Tweener and Wedge for the iPad mini. Much like the case for the iPad, the Tweener is made of squishy material that is very comfortable to hold and easy to grip by little hands. It also allows access to all of the mini’s ports and buttons. Paired with the Wedge stand, kids can easily place the tablet in a typing or media viewing angle. The case and wedge stand are currently available in red, green, blue, and orange. A black version of both items can be purchased starting next month. The Tweener is $24.95 while the Wedge is $19.95. Big Grips also offers discounts for educators. 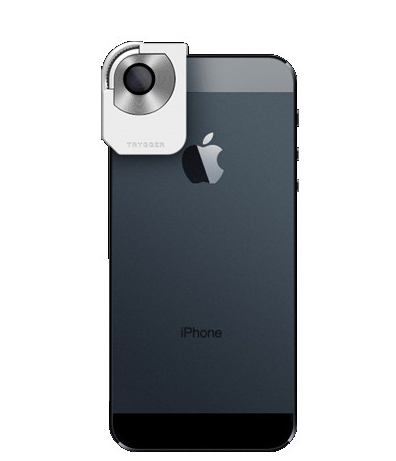 Taking inspiration from professional camera equipment, the Trygger for the iPhone 5 clips over the camera lens and adds a polarizing filter that provides clear and vibrant photos in any environment. The Trygger is also adjustable, allowing a shutterbug to control exactly how much light comes in during difficult photo situations like reflections, glare, and hazy skies. After a successful launch on Kickstarter, the Trygger is now available on Bite My Apple for $39.99 in both a white and black version. While there are many options to choose from when it comes to purchasing a battery case for the iPhone, solutions for the iPad and iPad mini are much harder to come by. But Digital Treasures has introduced versions of its Props Power Case for both tablets. Designed as a folio-type case, the anti-slide design supports multiple viewing angles in landscape mode. And an LED status indicator on top of the case offers a visual cue on how much juice is left in the battery. An included charging cable and USB adapter cable allows users to also power up other devices at the same time. A full-sized tablet case with a 12,000mAH battery is $119.95, while for 30 dollars less you can snag a case with a smaller 8,000mAH battery. 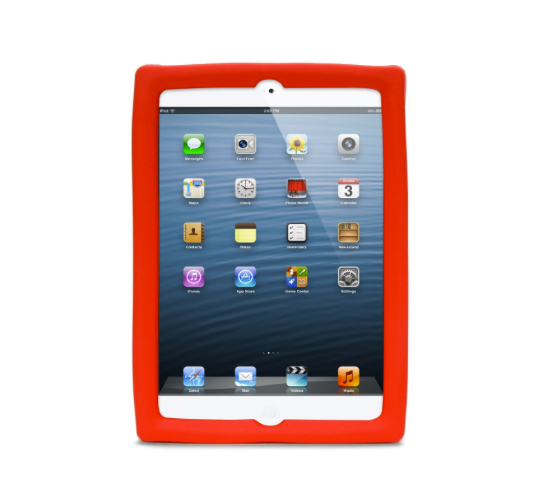 Both cases are compatible with the iPad 2 and up. The iPad mini version $79.95 and comes with an 8,000mAH battery. All of the cases can be ordered directly through Digital Treasures. Measuring in at only 1.63mm thick, the Citta is a nice looking slide-in case for the iPhone 5 designed to protect the handset from everyday bumps, drops, and scratches. An interesting interlocking diamond texture back adds increased grip to the case. 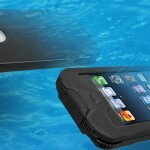 Available in five colors - black, blue, dark blue, pink, and silver – the case retails for $24.99 and can be purchased through Amazon.com or on Acase’s site. Withings' Smart Body Analyzer Boasts Heart Rate, Air Quality Measurements The analyzer works in tandem with the free Withings Health Mate app. The Daily Brick Expands Its Line Of LEGO Docks With An iPad Version What's the perfect companion to a custom LEGO dock for your iPhone 5? 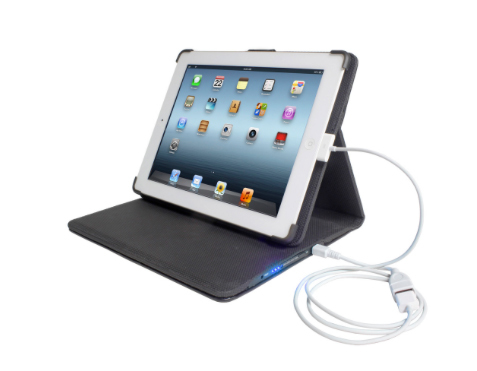 How about a larger version for any iPad with a Lightning connector. Double Your Battery Life With The NuCharge Double your battery life and do it like no one else with the NuCharge Battery Pack & Charging Case. Handmade Highlights: Spice Up Your Boring Apple TV With these awesome decals turn your Apple TV into a retro gaming console. Or a waffle.